Dr. Linnan designs, implements, and rigorously evaluates multi-level interventions that attempt to prevent or eliminate disparities in chronic diseases within a variety of community settings, with a special emphasis on worksites. She has a special interest in low-wage workers, developing comprehensive and integrated worker health and safety programs, and addressing the needs of small to medium-size employers. She worked with colleagues at RTI and the CDC to lead the development of the 2017 Workplace Health in America survey. She has worked with hundreds of employers over the past 25 years, and has led more than 35 community-based intervention or evaluation studies funded by NCI, NHLBI, ACS, CDC and the Office on Women’s Health. She is a member of the Lineberger Comprehensive Cancer Center, the Center for Urban and Regional Studies, and the Center for Health Promotion and Disease Prevention. She earned her doctorate in Health and Social Behavior, Harvard University School of Public Health and served as a faculty member (Research Associate) at Brown University prior to coming to UNC. 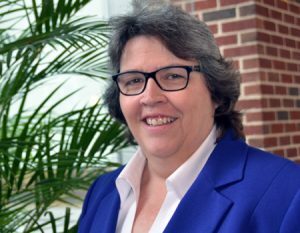 Her goal is to make sure that the Carolina Collaborative for Research on Work and Health serves as a catalyst for inter-disciplinary research that makes a real difference in improving the health of workers and workplaces in North Carolina and nationwide.